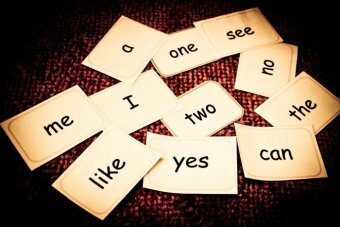 Education experts in Australia have voiced concern over the number of unqualified foreign English teachers hired overseas because of their "token white face", and the lasting negative impact it could have on students. 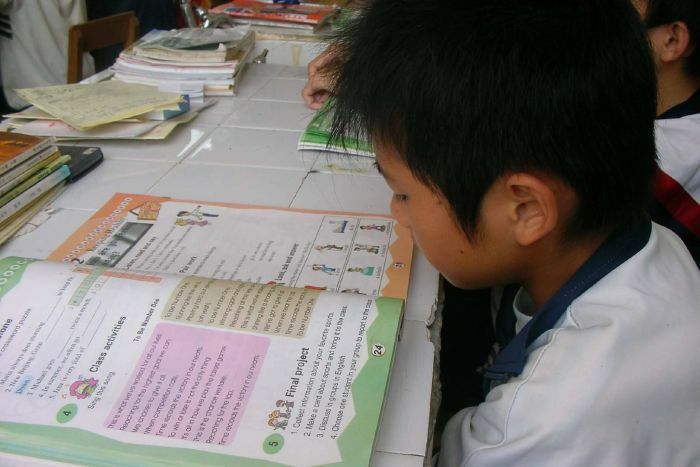 China is one among many Asian countries — including Indonesia, Malaysia and Vietnam — struggling to regulate unqualified foreigners teaching English as a Second Language (ESL). A recent report by state-owned Xinhua news agency said two-thirds of the 400,000 foreigners teaching in China in 2017 were unqualified, with some also working on incorrect visas. 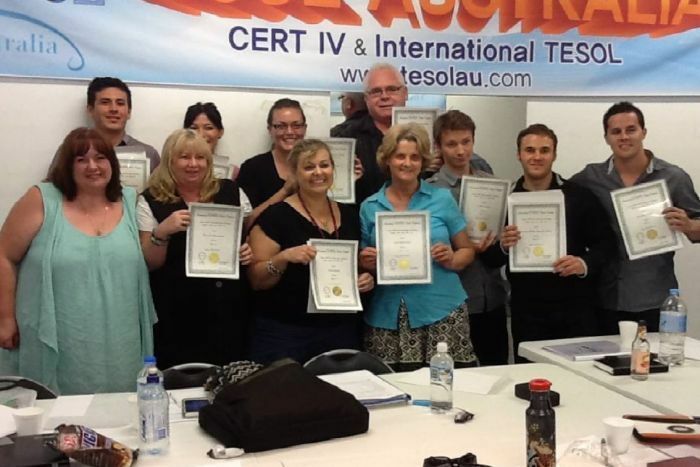 Lynette Kim, director at TESOL Australia, told the ABC that foreigners becoming teachers without formal training could have a lasting negative impact on both students and the teachers themselves. She said it could affect students' pronunciation, vocal expressions, their ability to learn how to form sentences, and even their interest in continuing to learn English. "They are coming in thinking I'm going to … make some money and get out of here," she said. "[They] get very exhausted, they get very stressed, they start to hate [teaching if] they'redoing it only for the money." 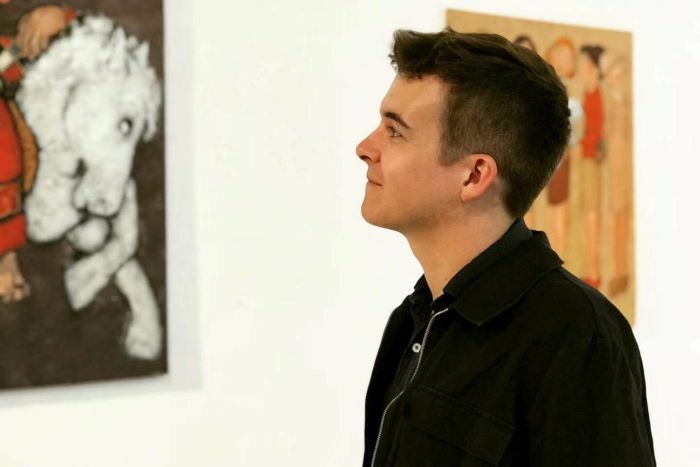 Former Gold Coast resident Jake Sharp (above) was 27 when he decided to move to Vietnam because he, like many other young Australians, enjoyed the adventure of living in a new country. Mr Sharp, now an accredited English teacher, said teachers in Vietnam earned a good wage and many Australians decided to stay for the long-term because living costs were much cheaper. 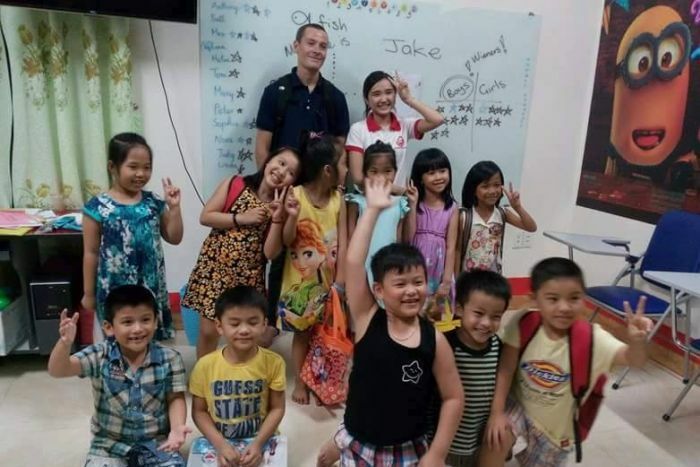 However, many English language centres in Vietnam hired native English-speakers without qualification — as long as they looked the part, he said. 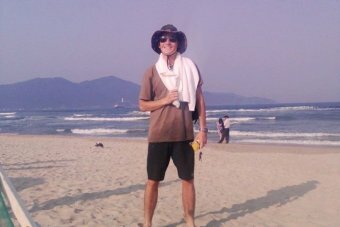 Ms Kim, as well as several other teachers the ABC spoke to, said that many schools overseas hired foreigners for their "token white face". "People think unless you have that western person [teaching in the school] you're really not going to get that culture right, and to some degree that's true," she said. French-British national Nathaniel Kempster (above) arrived in China on a student visa in 2006. 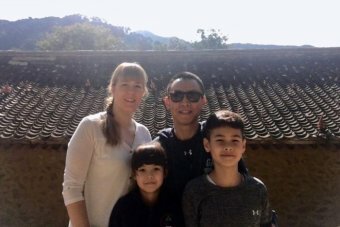 He told the ABC he was approached to teach in a kindergarten on his second day and did not have a valid working visa. "You don't even have to be a native [speaker] to get good pay, you just have to have a 'white face' — that's the most important — that's the first criteria," he said. He taught on weekends for six months before officials questioned his credentials. "One Saturday morning I was teaching. All of a sudden, about ten different agents walked in, all with cameras filming us," Mr Kempster said. "Kids were absolutely terrified, and no one understood what was happening. And I spent the night in the police centre." But Mr Kempster said schools with foreign teachers made a lot of money, so his employer would prefer to pay a fine than hire local teachers. "[The school] knows that they are going to make an enormous amount of money from that teacher, so paying a fine is a very small thing compared to the amount of money they will make over time," he said. "In China, being western is viewed as being superior," Mr Kempster said. "Also, the fact that you're western, [people think] you are obviously super good at English, even though some people aren't." The absence of vetting procedures has not only led to untrained teachers, but criminal backgrounds have also gone undetected. Mr Sharp said in Vietnam, foreigners were often hired without background checks. "The [English] centres are often not regulated — people are working with children without having to show a police check," he said. 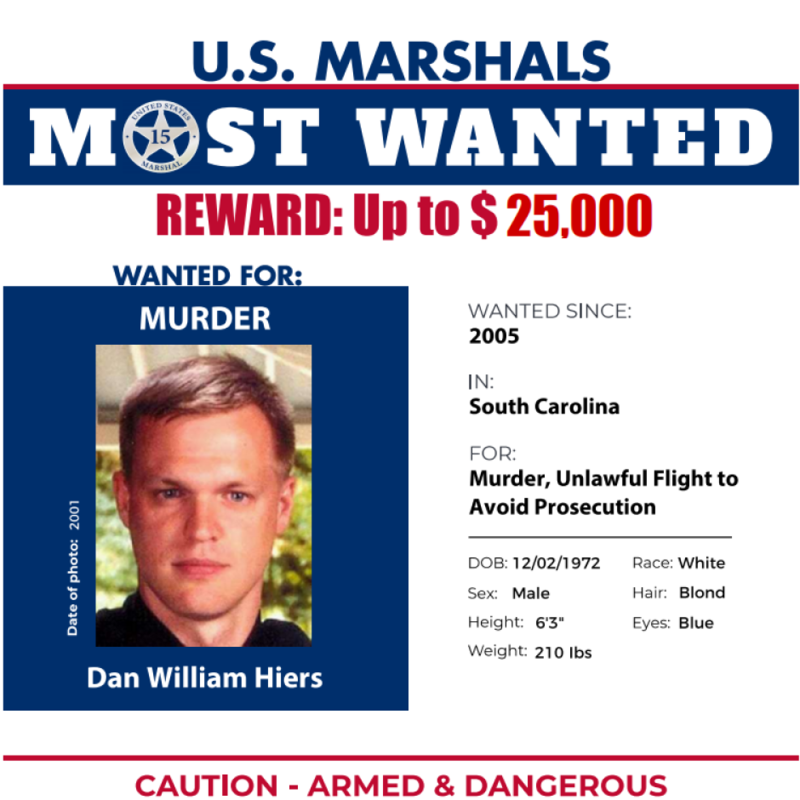 In Shanghai, one student found her college English teacher, Daniel William Hiers, on a US list of the 15 most wanted criminals, according to Chinese state media CGTN and the Global Times. The man had been profiled on America's most wanted list since March 2005 for murder and criminal sexual conduct. Indonesian law requires English teachers to have a masters degree and a minimum of five years teaching experience to teach in an international school. But teachers who meet these requirements are becoming increasingly difficult to find as the demand to learn English increases. Some schools have chosen to work around these requirements. Yusuf Paudni, director general of tutoring from the Ministry of Education in Indonesia, said unqualified teachers could sometimes slip through the cracks. "Many language courses employ native speakers, but some don't want to undergo the correct procedures or obtain a permit from the Ministry," he said. "This is often due to the time to process and the cost factor." However, he said it was not the Ministry's issue to resolve. "It's actually the police's job to file a lawsuit against those kind of workers," he said. Sydney-born Anya Filla-Dwehus (above), who has been teaching English in China for 18 years, said it could be hard for foreign nationals to work in the field they are qualified in due to strict Chinese Government regulations. "While some are actual teachers back home, I've come across some people who are basically passing through and it's just something for them to stay afloat," she said. There are conflicting reports on regulations around foreign teachers. A Xinhua article published in July said it took at least four months to hire a foreign teacher by following the correct legal process. Foreign teachers also need a bachelor's degree, two years of relevant work experience or a teaching qualification to obtain a work permit, the report said. But Zhang Fucheng, vice-president of Yanshan University, told Xinhua in a separate article last September that there were currently no laws and regulations for foreign teachers in China. "Legislation should be completed as soon as possible to improve the standards and methods for the appointment of foreign teachers, and their legal status, rights and obligations," Mr Zhang said. Lynette Kim (far left), director of TESOL Australia, says many foreign schools want "the token white face"
Learning English has been growing in importance in Asia over the last few decades. International language company Education First (EF) revealed in their English Proficiency Index that Asia has the second highest non-native English speaking population, second only to Europe. Many Asian parents see learning English as a key to a successful career. The company's 2017 report — based on test data from more than 1 million participants — also found that adult English proficiency levels are directly correlated to the country's ranking in the United Nations Human Development Index, which measures the standard of living and economic growth among other achievements. 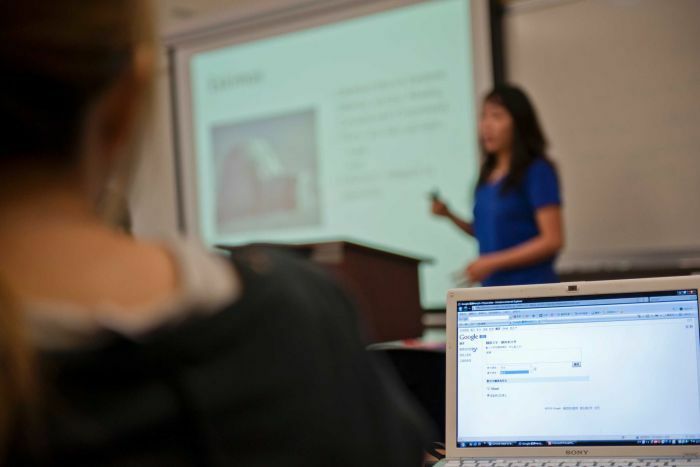 Economic development offered new incentives and resources to learn English, the report said. Ms Filla-Dwehus said Asian parents saw learning English as a key pathway to a successful career. In China parents want their children to be fluent in English, she said, and be able to pronounce words "just like a foreigner". "[Parents] want to have that skill already developed before they get into secondary education." Why is she in her nightie? I don't see why 'education experts' in Australia should be the least bit concerned. Just who are these 'experts'? It's expandable...allows for more pie intake. Bloody Aussies poking their noses into the affairs of other countries. Get your own education sorted first. Can't even speak proper English, innit. Could be the backpacking "teachers" who've been at it for over a decade. Actually it turns out they're selling TESOL courses so that explains their interest.